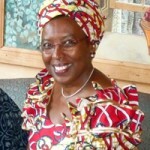 Marguerite Barankitse, holder of an honorary doctorate from the University of Louvain, leads courageous battle for peace and reconciliation in her native Burundi. She has dedicated her life to child victims of war. Marguerite – or Maggie as she prefers to be called – was born in the village of Nyamutobo. To date, Maison Shalom has helped over 50,000 children and adults. In July, 2007, the mother-child centre-built by the Belgian and Burundian armies on land belonging to Maggie’s family and donated to the Maison Shalom NGO was inaugurated. In addition, a 120 bed hospital called "Rema" (an expression of comfort and support in Kirundi) is opened since 2008.